The Lance Armstrong legal and public relations machine has, for the most part, squashed the doping allegations that have followed the seven-time Tour de France champion for most of the past decade. He has used his considerable influence to discredit journalists and cyclists that have accused the cancer survivor of using performance enhancing drugs such as anabolic steroids and erythropoeitin (EPO). This strategy succeeded against people like Floyd Landis, Greg LeMond and Frankie and Betsy Andreu. However, the aggressive strategy seems to have lost some of its bite recently. The “60 Minutes” investigation into the use of performance-enhancing drugs in cycling (and specifically the use of PEDs by Lance Armstrong) may represent a pivotal moment for Armstrong. The public perception of Lance Armstrong appears to have changed with the CBS “60 Minutes” expose that included accusations by former teammate Tyler Hamilton. Armstrong’s integrity and credibility against his accusers are increasingly suffering. A letter demanding a public, on-air apology by “60 Minutes” was written by attorney Elliot Peters of the law firm Keker & Van Nest, on behalf of Lance Armstrong. Unfortunately for Armstrong, the “demand” that CBS apologize for their “shoddy”, “reckless” and “unprofessional” journalism seems to have backfired. 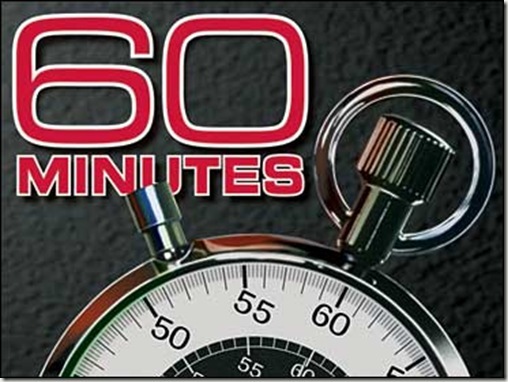 “60 Minutes” stands by its story as truthful, accurate and fair. Lance Armstrong and his lawyers were given numerous opportunities to respond to every detail of our reporting for weeks prior to the broadcast and their written responses were fairly and accurately included in the story. Mr. Armstrong still has not addressed charges by teammates Tyler Hamilton and George Hincapie that he used performance enhancing drugs with them. Armstrong’s letter to CBS has been strongly criticized by several writers as simply a public relations maneuver devoid of any legal bite. For example, Patrick Hruby, writing for The Atlantic, writes an “open letter” to Armstrong’s attorneys demanding an apology for insulting the public’s “collective intelligence”. On behalf of the segment of the population that is currently awake, paying attention, and not in a medically comatose and/or trauma-induced vegetative state, I ask that you explain to the general public that your demand that 60 Minutes apologize on air to Lance Armstrong was a cynical, empty public relations gesture that even an unusually perceptive chimpanzee could see right through. Moreover, I demand that you issue a written apology to the American public for holding its collective intelligence in such obvious and searing contempt, as well as mistakenly assuming that your law degrees confer not only legal knowledge and a peerless ability to obfuscate, but also Jedi mind trick powers. So: your entire letter to CBS News smacks of a hollow, for-show ploy intended to confuse – and possibly bore—a public that might otherwise be considering all of the other doping allegations levied against your client. In the cold light of morning—again, your hackneyed imagery! – you seem to think the rest of us are either morons or too busy hacking Rep. Anthony Weiner’s Twitter account to notice. In either case, a categorical apology is required. Lance Armstrong may need to reconsider his strategy going forward as the doping investigation intensifies.